A very similar version of this blog post originally appeared in Culture Digitally on June 5, 2015. Words Matter. As I write this in June 2015, a United Nations committee in Bonn is occupied in the massive task of editing a document overviewing global climate change. The effort to reduce 90 pages into a short(er), sensible, and readable set of facts and positions is not just a matter of editing but a battle among thousands of stakeholders and political interests, dozens of languages, and competing ideas about what is real and therefore, what should or should not be done in response to this reality. I think about this as I complete a visiting fellowship at Microsoft Research, where over a thousand researchers worldwide study complex world problems and focus on advancing state of the art computing. In such research environments the distance between one’s work and the design of the future can feel quite small. Here, I feel like our everyday conversations and playful interactions on whiteboards has the potential to actually impact what counts as the cutting edge and what might get designed at some future point. But in less overtly “future making” contexts, our everyday talk still matters, in that words construct meanings, which over time and usage become taken for granted ways of thinking about the way the world works. These habits of thought, writ large, shape and delimit social action, organizations, and institutional structures. I have three sisters, each involved as I am in world-making, if such a descriptive phrase can be applied to the everyday acts of inquiry that prompt change in socio-technical contexts. Cathy is an organic gardener who spends considerable time improving techniques for increasing her yield each year. Louise is a project manager who designs new employee orientation programs for a large IT company. Julie is a biochemist who studies fish in high elevation waterways. Perhaps they would not describe themselves as researchers, designers, or even makers. They’re busy carrying out their job or avocation. But if I think about what they’re doing from the perspective of world-making, they are all three, plus more. They are researchers, analyzing current phenomena. They are designers, building and testing prototypes for altering future behaviors. They are activists, putting time and energy into making changes that will influence future practices. Their work is alternately physical and cognitive, applied for distinct purposes, targeted to very different types of stakeholders. As they go about their everyday work and lives, they are engaged in larger conversations about what matters, what is real, or what should be changed. Everyday talk is powerful not just because it has remarkable potential to persuade others to think and act differently, but also because it operates in such unremarkable ways. Most of us don’t recognize that we’re shaping social structures when we go about the business of everyday life. Sure, a single person’s actions can become globally notable, but most of the time, any small action such as a butterfly flapping its wings in Michigan is difficult to link to a tsunami halfway around the world. But whether or not direct causality can be identified, there is a tipping point where individual choices become generalized categories. Where a playful word choice becomes a standard term in the OED. Where habitual ways of talking become structured ways of thinking. I mention two examples that illustrate the power of discourse to shape how we think about social media, our relationship to data, and our role in the larger political economies of internet related activities. These cases are selected because they cut across different domains of digital technological design and development. I develop these cases in more depth here and here. The case of ‘sharing’ illustrates how a term for describing our use of technology (using, surfing, or sharing) can influence the way we think about the relationship between humans and their data, or the rights and responsibilities of various stakeholders involved in these activities. In this case, regulatory and policy frameworks have shifted the burden of responsibility from governmental or corporate entities to individuals. This may not be directly caused by the rise in the use of the term ‘sharing’ as the primary description of what happens in social media contexts, but this term certainly reinforces a particular framework that defines what happens online. When this term is adopted on a broad scale and taken for granted, it functions invisibly, at deep structures of meaning. It can seem natural to believe that when we decide to share information, we should accept responsibility for our action of sharing it in the first place. It is easy to accept the burden for protecting our own privacy when we accept the idea that we are ‘sharing’ rather than doing something else. The following comment seems sensible within this structure of meaning: “If you didn’t want your information to be public, you shouldn’t have shared it in the first place.” This explanation is naturalized, but is not the only way of seeing and describing this event. We could alternately say we place our personal information online like we might place our wallet on the table. When someone else steals it, we’d likely accuse the thief of wrongdoing rather than the innocent victim who trusted that their personal belongings would be safe. A still different frame might characterize personal information as an extension of the body or even a body part, rather than an object or possession. Within this definition, disconnecting information from the person would be tantamount to cutting off an arm. As with the definition of the wallet above, accountability for the action would likely be placed on the shoulders of the ‘attacker’ rather than the individual who lost a finger or ear. With the rise of big data, we have entered (or some would say returned to) an era of quantification. Here, the trend is to describe and conceptualize all human activity as data—discrete units of information that can be collected and analyzed. Such discourse collapses and reduces human experience. Dreams are equalized with body weight; personality is something that can be categorized with a similar statistical clarity as diabetes. The trouble of using data as the baseline unit of information is that it presents an imaginary of experience that is both impoverished and oversimplified. This conceptualization is coincidental, of course, in that it coincides with the focus on computation as the preferred mode of analysis, which is predicated on the ability to collect massive quantities of digital information from multiple sources, which can only be measured through certain tools. “Data” is a word choice, not an inevitable nomenclature. This choice has consequence from the micro to macro, from the cultural to the ontological. This is the case because we’ve transformed life into arbitrarily defined pieces, which replace the flow of lived experience with information bits. Computational analytics makes calculations based on these information bits. This matters, in that such datafication focuses attention on that which exists as data and ignores what is outside this configuration. Indeed, data has become a frame for that which is beyond argument because it always exists, no matter how it might be interpreted (a point well developed by many including Daniel Rosenberg in his essay Data before the fact). We could alternately conceptualize human experience as a river that we can only step in once, because it continually changes as it flows through time-space. In such a Heraclitian characterization, we might then focus more attention on the larger shape and ecology of the river rather than trying to capture the specificities of the moment when we stepped into it. Likewise, describing behavior in terms of the chemical processes in the brain, or in terms of the encompassing political situation within which it occurs will focus our attention on different aspects of an individual’s behavior or the larger situation to which or within which this behavior responds. 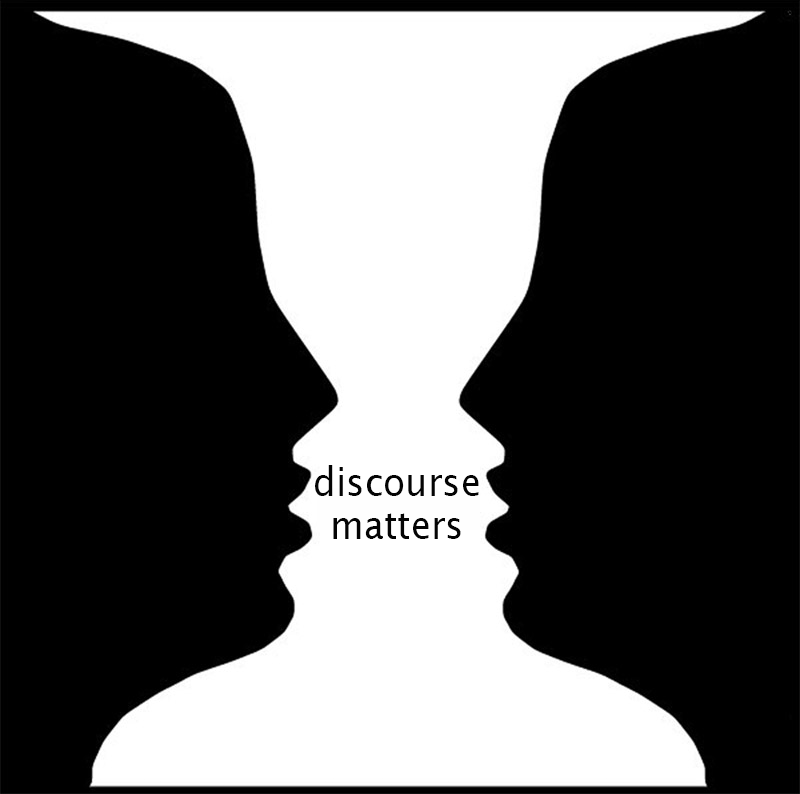 Each alternative discourse provokes different ways of seeing and making sense of a situation. “myth” is the social tool for welding the sense of interrelationship by which [we] can work together for common social ends. In this sense, a myth that works well is as real as food, tools, and shelter are. These myths do not just function ideologically in the present tense. As they are embedded in our everyday ways of thinking, they can become naturalized principles upon which we base models, prototypes, designs, and interfaces. How might we design discourse to try to intervene in the shape of our future worlds? Of course, we can address this question as critical and engaged citizens. We are all researchers and designers involved in the everyday processes of world-making. Each, in our own way, are produsing the ethics that will shape our future. This is a critical question for interaction and platform designers, software developers, and data scientists. In our academic endeavors, the impact of our efforts may or may not seem consequential on any grand scale. The outcome of our actions may have nothing to do with what we thought or desired from the outset. 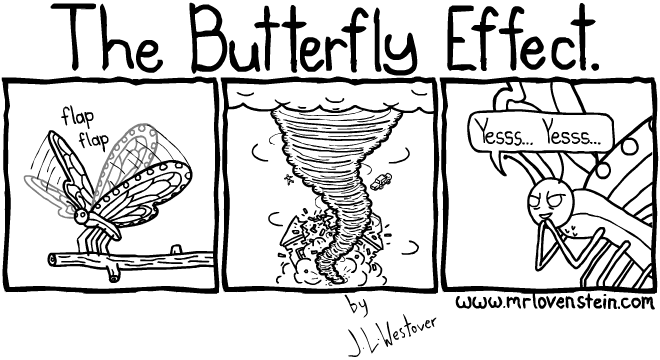 Surely, the butterfly neither intends nor desires to cause a tsunami. futures are made and fixed in mundane social and material practice: in timetables, in corporate roadmaps, in designers’ drawings, in standards, in advertising, in conversations, in hope and despair, in imaginaries made flesh. It is one step to notice these social construction processes. The challenge then shifts to one of considering how we might intervene in our own and others’ processes, anticipate future causality, turn a tide that is not yet apparent, and try to impact what we might become. Annette N. Markham. 2014. Undermining data: A critical examination of a core term in scientific inquiry. First Monday, 18(10). Gareth Morgan. 1986. Images of Organization. Sage Publications, Thousand Oaks, CA. Daniel Rosenberg. 2013. Data before the fact. In ‘Raw data’ is an oxymoron. Lisa Gitelman (ed). Cambridge, Mass. : MIT Press, pp. 15–40.